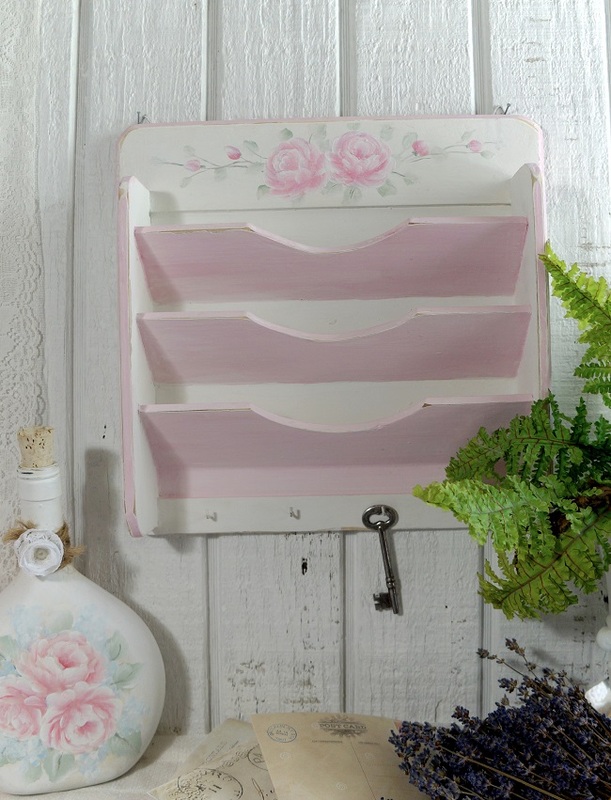 I love these letter organizers. 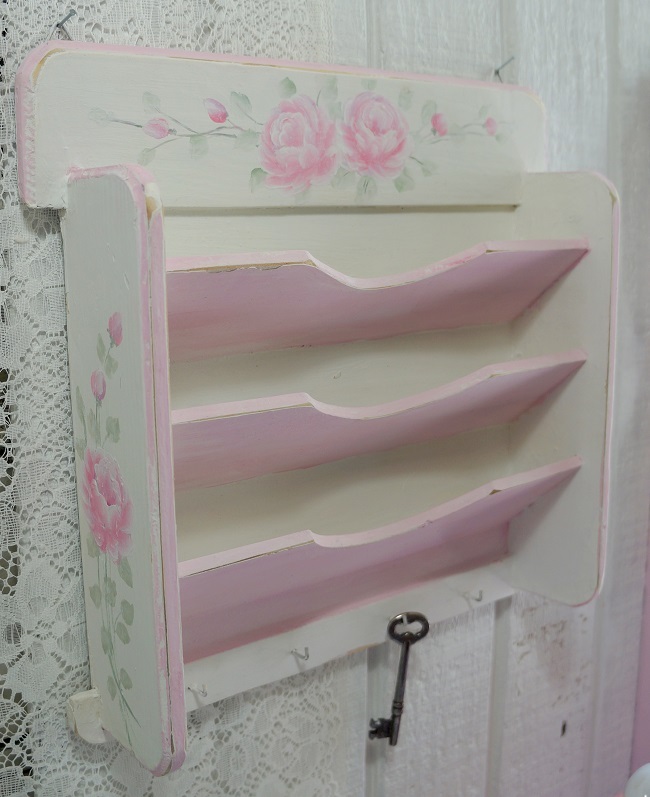 I painted this one pink and white, added roses in shades of pink with green foliage on the top and on both ends. 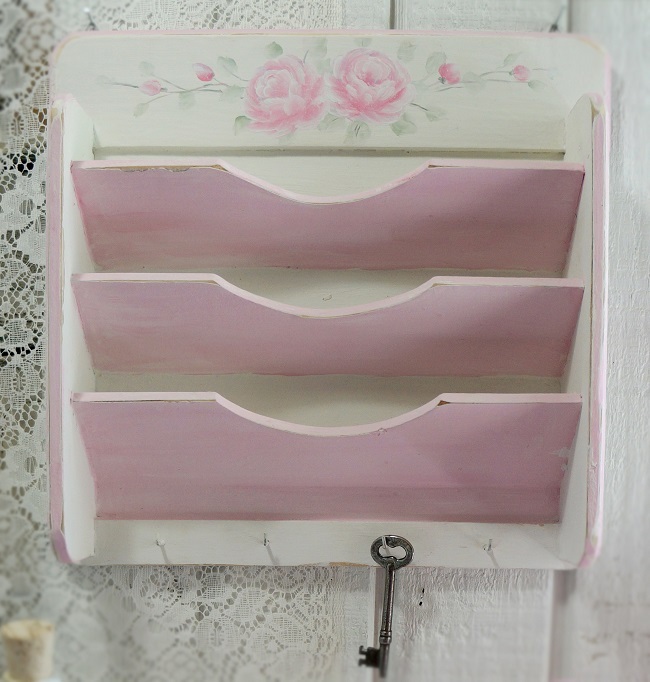 I added a little distressing for warm Country Charm. Country Cottage, Victorian, home or office.